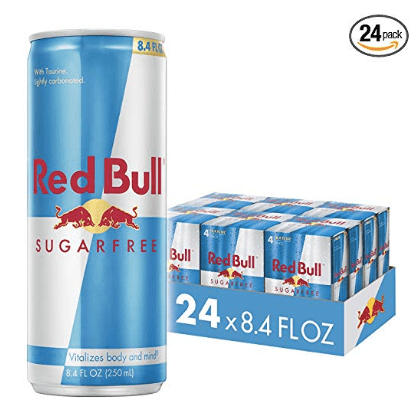 Amazon has the Red Bull Energy Drink, Sugar Free, 24 Pack of 8.4 Fl Oz, Sugarfree (6 Pack of 4) for $32.28. Clip the 20% off coupon and use subscribe and save (easy to cancel) to drop the price to $25.48 with free shipping. Standard shipping is free on all orders over $25 right now on Amazon, or get free 2 day shipping with Amazon Prime (get your free trial). Amazon prices can change at any time. If you would like to subscribe to my email newsletter to get daily updates. Please click here.